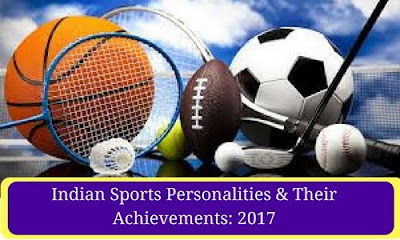 The Indian Department of Sports was set up in 1982 and came to be known as the Ministry of Youth Affairs and Sports since 2000. The ministry provides infrastructure and promotes participation in various events at national and international levels. His record as a skipper In Indian cricket team has been exemplary. He has won an away series in West Indies, and then defeated New Zealand and England at home. His record as a batsman has also been exemplary all throughout the seasons. She is the first Indian woman Para-athlete to have bagged a medal. She won silver medal in shot put event. She also actively participates in adventure sports. She won Australian open, Cinicinnati Masters, Connecticut Open, St. Petersburg Ladies’ Trophy with her partners. She also received Padma Bhushan and has also represented India in her third straight Olympics. He made the country proud at the recent Paralympics with a gold medal winning performance in the javelin throw event. He is being aided through the Para champions programme by GoSports Foundation. She is the is regarded as the face of Indian badminton. Her crowning glory definitely has been the silver medal at Rio 2016. She is the first woman wrestler from our country to bag a medal at the Olympics. He won the gold medal at the Rio Paralympics 2016 in the finals of the men’s high jump. She became the first Indian woman gymnast to qualify for the summer Olympics . She may not have bagged a medal at the Olympics but she did make her presence felt at the gymnastics event by finishing at the fourth place. He won the bronze medal at the Para high jump event in Rio Paralympics 2016. She was included in the International Cricket Council's (ICC) Women's team of the year. This golden boy became the first Indian to win back to back super series title. He clinched the Australian Open followed by his triumph in Indonesian open. She is the captain of the Indian Women's cricket team. She is the only first player to score 7 consecutive 50s in ODIs. She has won over twenty international titles, which include ten Super series titles. She has received Padma Bhushan in the year 2016. She is a five-time World Amateur Boxing champion, and the only woman boxer to have won a medal in each one of the six world championships. She is the only Indian women boxer to be qualified for the 2012 Olympics and she has won the bronze medal. He won the gold medal in the Air Rifle event at the 2008 Beijing Olympic games. He is the first Indian to win an individual gold medal at the Olympic Games. He is the Indian football team captain. He now has a better International goal scoring record than Cristiano Ronaldo, and even Lionel Messi. He is the only player ever to win world titles in both the long and short formats of snooker. Recently, he has won the 29th National Championship Title in Pune. He is the first Indian and only tennis player to compete at seven Olympic Games. He broke into the top ten players in the world in November 2016.